What is Pure Dental Learning? 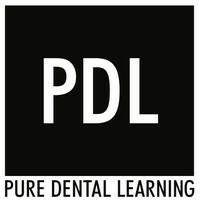 Pure Dental Learning (PDL) is an online dental learning resource center, which includes a library of searchable instructional cases, clinically relevant literature, and webinar programs by leading dental researchers, educators, and practicing clinicians. Dr. Terry Pannkuk created this online center in 2013 with the intent of bridging students, researchers, educators, and clinicians for the purpose of discovery and collaboration of ideas. Participants will note that there are no direct commercial sponsors influencing the discussion of science and clinical instruction and that the focus is on objective clinical science minimizing bias to the greatest extent possible. The authors of submitted instructional cases may have clinical opinions but evidence-based analyses are submitted as part of each case series by a diverse group of post-graduate students, researchers, and educators who have a special interest and knowledge for each presented topic. The goal of PDL is to expand into all related disciplines of dentistry and provide high quality objective dental learning. We are constantly looking for contributors to share ideas for future growth. Our hope is that PDL will raise the bar in all dental disciplines and ultimately improve patient-centered health care.